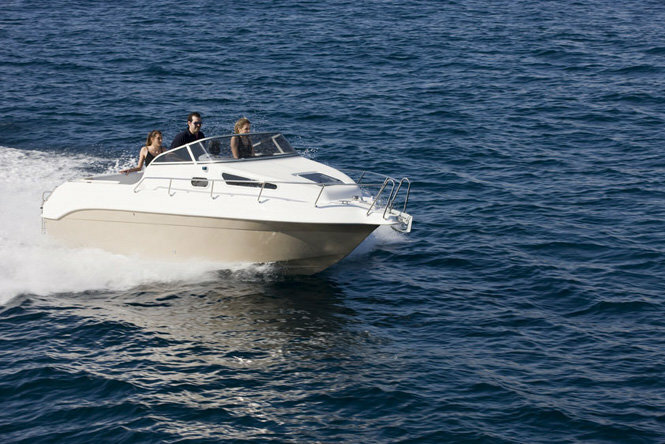 Most popular speed boat rides in Goa. The speed and the wind blowing against one's face gives a spine chilling experience. In Goa there are many beaches. This gives an opportunity for speed boating. The honeymoon holidaying to Goa are crazy after speed boating. Speed freaks who love to flirt with the water can't resist getting into a speed boat. As Goa offers plenty of adventure and water sports activities that add up to the overall experience to Goa trip. A fast speed boat ride offers you an opportunity to absorb yourself in the fascinating ambience of the Goan beaches. Adventure freaks can’t resist getting into a speedboat. One can go for long rides or just a spin around the bay on these speed boats. Old Goa, Fort Aguada, Sinquerim, St. Jacinto Island and Grant Island and many more exciting destinations can be visited by private speed boats. The speed boats can also be used for water skiing. Fast and furiously racing against the water, speedboats give a sense of excitement that lasts for long. So, hold onto your hats and get ready for an unforgettable journey. A journey that teaches you to maneuver a roller coaster on water. Therefore, do not miss your chance to get that nerve chilling experience, just get set go!